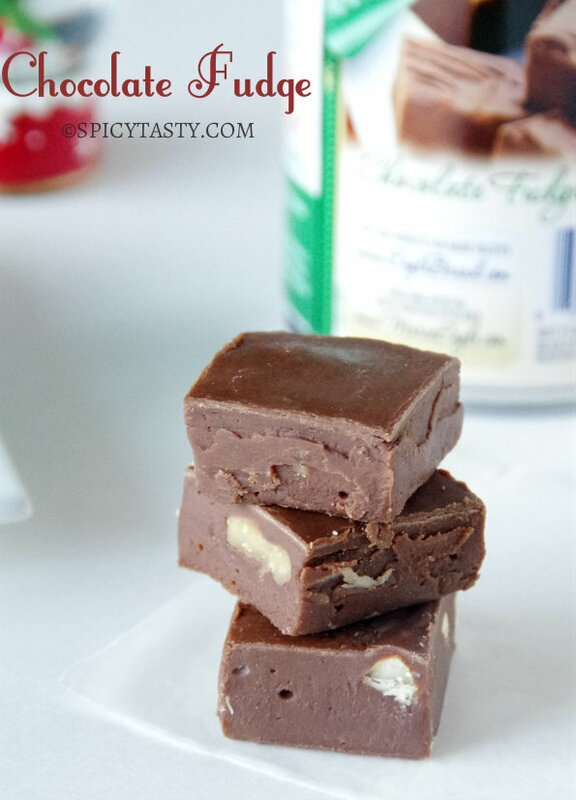 This Chocolate Fudge is easy to make and a delicious treat for your family and friends. It just takes five minutes to whip up the ingredients and then slice them up after refrigeration. I have added toasted nuts to it which adds a crunchy bite. 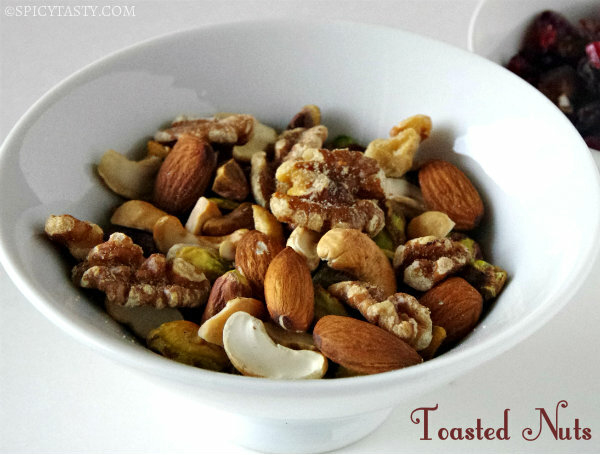 Toasting the nuts improves the flavor and is perfect for the fudge. Preheat oven to 250ºF. Spread the nuts on a baking sheet and let it toast for 10 minutes until it becomes crunchy and lightly changes color. Heat butter and condensed milk in the microwave oven on high heat for 1 and 1/2 minutes to 2 minutes. Remove from oven and mix in the chocolate chips. Keep a tray or pan ready lined with parchment paper and greased with butter. Mix in the toasted nuts and transfer it to the pan. Let it set in the refrigerator for atleast 2 hours. Remove from pan and cut into small or large squares. Place the squares in an airtight container and refrigerate it. 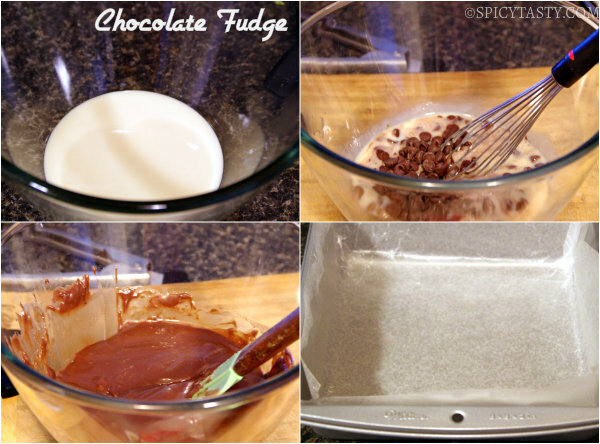 Easy Chocolate Fudge is ready. 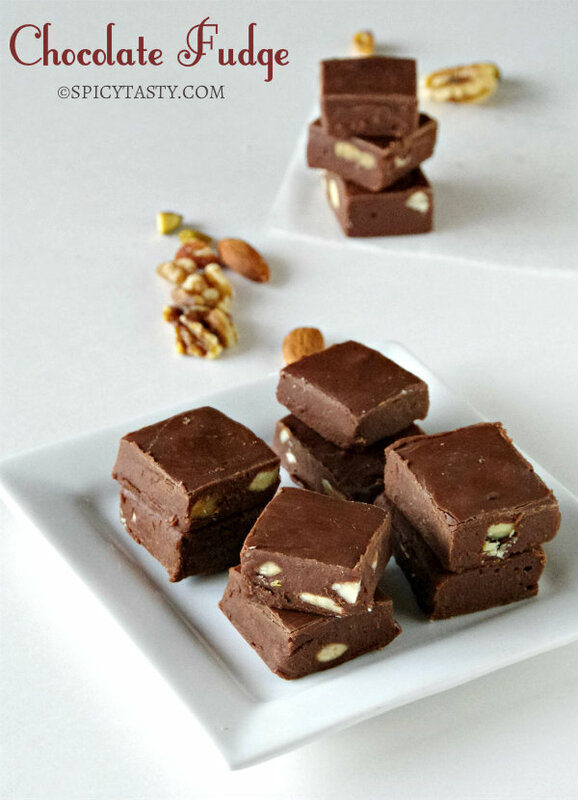 Nice blog 🙂 I tried this recipe today however my fudge came out really sticky and will not hold shape even after a day in the fridge. Not sure what went wrong..wondering if there is any typo in the choc chips proportion? Sorry to hear that. The proportion of the ingredients are fine. I think it may be the microwaving time. It may vary. Try microwaving it for less time oand remove every 30 seconds, stir and put it back. It may work. Thanks for ur comments.